That’s a potato miracle if I’ve ever seen one! And if it helps your football team win, then that’s all the better. Good luck to them tonight!! It only counts if it is on a tortilla. Oh no Lee, that ruling only applies to Virgen de Guadalupe images. 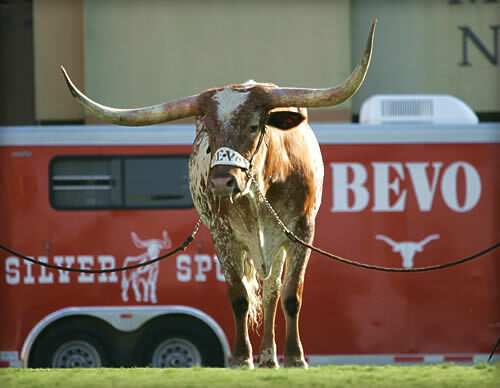 Bevo can transcend mediums. Just like you can see Jesus on a grilled cheese sandwhich. You know, living in the land where college basketball is the state religion (Kentucky/Indiana), I somehow really enjoy reading OTHER regions’ tales of sports-related craziness. 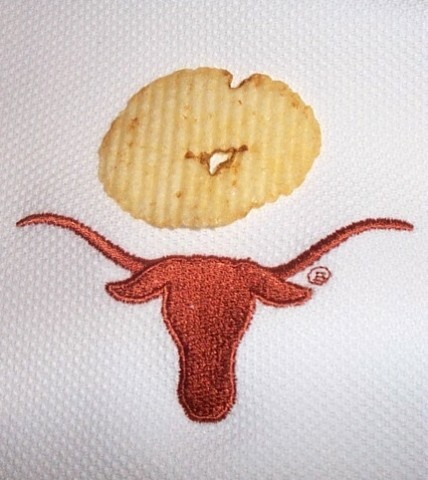 I think it’s absolutely hilarious that you saved that chip and kept it in a place of honor. Love it! What a great story. Cheers! Ohhh, probably shoulda held on to that chip.